Please introduce yourself here so we can welcome you. Then make a post in our other forum beneath this one "Bereavementuk Support Posting Room" telling us who you lost so we may support you. 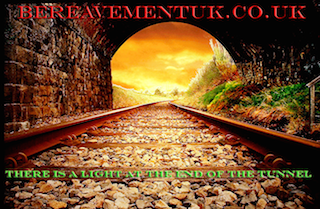 Please post here for anything to do with your bereavement to get support. From time to time we do come across some information or sources of support from other places along with inspiring quotes, blogs or diary pieces.If you find something you think would be appropriate to add - please contact admin via private message with the details.